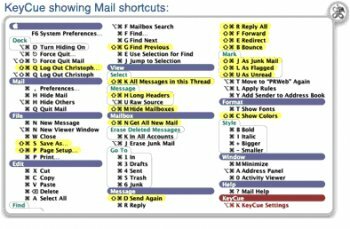 KeyCue helps you to use your Mac OS X applications more effectively by displaying a concise table of all currently available menu shortcuts. You no longer need to memorize and remember key combinations; just press the command key and KeyCue tells you what you want to know. No review? I thought Macs were in? LOL!